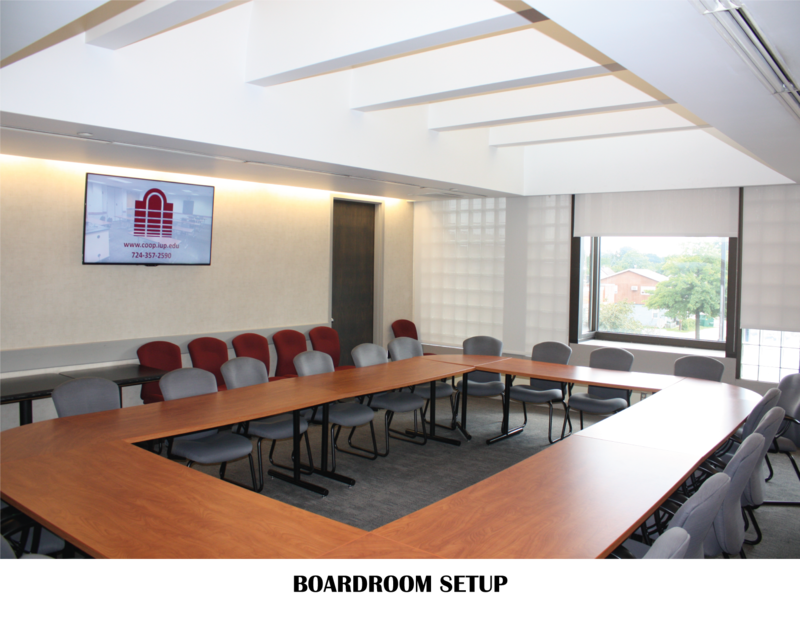 The Knowlton Board Room is a 594 square foot boardroom style room and is quietly located near the HUB business offices. 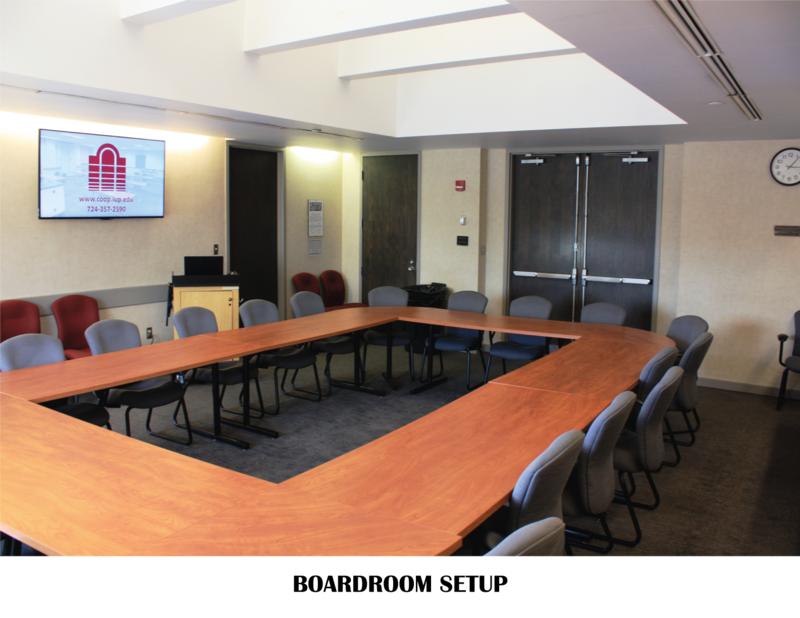 A perfect room for smaller gatherings, the Knowlton offers two 60” display monitors with HDMI and VGA connections at the podium for your slide show or presentation. 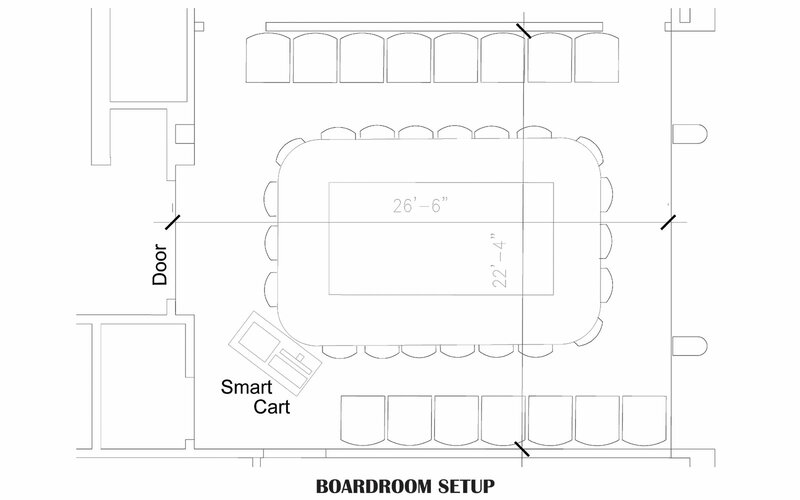 A seating capacity of 20 at the table and 15 chairs additionally located around the perimeter of the room, the Conemaugh can hold a total of 35.